Ford Losing Its Touch? Ford Motor Co. got hit with a defective products class action lawsuit filed by customers who allege the automotive maker sold vehicles with faulty touchscreen systems. Great! The last thing you want to try and figure out while you’re driving…why the technology isn’t working as advertised. The Ford class action lawsuit, which represents no less than nine classes, alleges the defect resulted in the failure of safety functions such as rear view cameras and functioning navigation systems. U.S. District Judge Edward M. Chen has certified nine different classes of Ford owners, divided by state: California, Colorado, Massachusetts, New Jersey, North Carolina, Ohio, Texas, Virginia and Washington. Each class brings its own set of claims related to breach of warranty, unfair trade practices, fraudulent concealment and other various other allegations. According to plaintiffs, the MyFord Touch infotainment touchscreen systems often crash or freeze while the vehicle is in motion. The systems were introduced into Ford vehicles in 2010 with the promise of touch screen operating of audio and navigation systems, the ability to make phone calls, manage climate systems and play music from their smartphones. However, the systems have encountered a lengthy list of problems. In 2010, according to the lawsuit, Ford reported roughly 400 problems for every 1000 vehicles, which was an improvement from earlier numbers. The systems add about $1,000 to the cost of a Ford vehicle, according to the plaintiffs. The case is In re: MyFord Touch Consumer Litigation, case number 3:13-cv-03072, in the U.S. District Court for the Northern District of California. New Meaning To ‘Loyalty’? LoyaltyOne is facing a consumer fraud class action in Canada, over “unfair and unilateral” changes to its airmiles program’s terms and conditions. Here’s the skinny. According to the allegations, LoyaltyOne, which owns Airmiles—an airmiles rewards program—is accused of not giving adequate notice of the changes to its customers about the expiration of their airmiles, including miles earned before December 31, 2011 that expire at the end of this year. The AirMiles lawsuit also accuses LoyaltyOne of failure to give adequate notice that miles collected after that date will expire five years after they are earned. Got all that? Oh yes, the complaint also asserts that the company has made it difficult for miles to be redeemed before their expiration. “The net result is that Air Miles’ conduct will result in a large number of the class members’ miles expiring, resulting in a significant loss to the class, and a corresponding large windfall for Air Miles,” the claim states. According to the complaint, some 10 million Canadian households belong to the Air Miles program. The award miles are earned by shopping at participating retailers and are meant to be exchanged for flights and other rewards. According to the claim, users wanting to redeem points before they expire have had problems doing so because of “unduly long” wait times on the phone. As well, it says the website displayed reward items users did not have enough miles to purchase, but not those that were within reach. Need a vacation after reading all that! Lifelock Locks Up $68 Million Settlement. 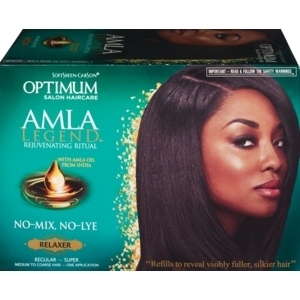 The deal has received final approval, ending a consumer fraud class action lawsuit pending against it. The lawsuit alleged that LifeLock made false statements about its services and failed to follow through on promised that it would alert consumers of potential identify theft immediately. Specifically, the class alleged that LifeLock would not pay any losses directly to the consumer and does not cover consequential or incidental damages to identity theft. It also alleged the guarantee is limited to fixing failures or defects in the LifeLock services and paying other professionals to attempt to restore losses. LifeLock illegally placed and renewed fraud alerts under consumers’ names with credit bureaus. However, under the federal Fair Credit Reporting Act, corporations such as LifeLock are not allowed to place fraud alerts on a consumers’ behalf, in fact, the law was written to specifically bar credit repair companies from improperly using fraud alerts. In the LifeLock Settlement, U.S. District Judge Haywood Gilliam Jr. also approved attorneys’ fees of $10.2 million and a payment of $2,000 to each of four class representatives. Distribution of the remaining funds works out to $20 per class member, with members of a subclass receiving funds on a pro rata distribution of a cordoned off subclass fund. The class starts from September 2010 and the subclass period begins in January 2012. The case is Ebarle et al. v. LifeLock Inc., case number 3:15-cv-00258, in the U.S. District Court for the Northern District of California. Don’t know what to say about this. 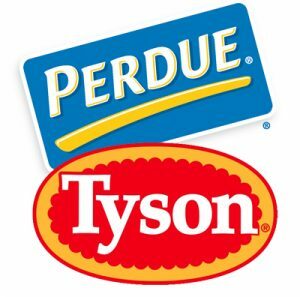 Tyson and Perdue Farms are facing an antitrust class action lawsuit over allegations they engaged in a chicken price-fixing scheme. The lawsuit calls the industry’s means of destroying its livestock “unparalleled.” There are other terms that come to mind, but let’s get to the allegations. Which are, specifically, that the companies were involved in killing hens and flocks and destroying eggs to limit production and raise the price of 98 percent of the chicken sold in the U.S. by nearly 50 percent. The lawsuit, filed Sept. 14, 2016, in the U.S. District Court for the Northern District of Illinois, Eastern Division states that the laundry list of defendants control 90 percent of the wholesale broiler chicken market, an industry with more than $30 billion in annual revenue. If you purchased chicken from any of the following suppliers, you may be entitled to your money back: Tyson, Perdue Farms, Pilgrim’s Pride, Sanderson Farms, Simmons Foods, Koch Meats, JCG Foods, Koch Meats, Wayne Farms, Mountaire Farms, Peco Foods, Foster Farms, House of Raeford Farms, Fieldale Farms, George’s Farms or O.K. Foods. Find out your rights to compensation. The Tyson and Perdue lawsuit describes in detail how the chicken industry conspired together to raise prices, stating that in 2007, Pilgrim’s and Tyson attempted to cut production levels enough to cause industry prices to rise, but failed to impact the market due to their market share. “In January 2008 Pilgrim’s and Tyson changed tactics and concluded that only through broader cooperation among major producers in the Broiler industry could supply be cut enough to force prices to increase,” the suit states. According to the lawsuit, unlike Pilgrim’s and Tyson’s prior production cuts, in 2008 the defendant chicken producers did not rely solely on ordinary mechanisms to temporarily reduce production, which would have permitted production to be quickly ramped up if prices rose. “Instead, Defendant Producers cut their ability to ramp up production for 18 months or more by destroying Broiler breeder hens in their Broiler breeder flocks responsible for supplying the eggs Defendant Producers raise into Broilers. This destruction of the Broiler breeder flock was unparalleled,” the lawsuit states. Walmart & Sam’s Club Head into OT (Sort of…) Hey, football season just started up so forgive the pun… So there’s a couple of nice unpaid overtime settlements to report this week. First up…Walmart and Sam’s Club. They were facing an unpaid overtime class action lawsuit brought by certain employees who worked at the big box retailers. The plaintiffs asserted that they were not paid for missed meal and rest breaks or for off-the-clock work while employed by Walmart. The potential class of plaintiffs in the lawsuit who may be entitled to benefits from the settlement is approximately 187,000 current and former hourly Pennsylvania employees at Walmart of Sam’s Club. The class period is between March 19, 1998 and May 1, 2006. The Walmart settlement amount is $62.3 million in statutory damages. The lawsuit is Braun v. Wal-Mart Stores Inc., et al., March 2002 Term, No. 3127 and Hummel v. Wal-Mart Stores Inc., et al., August 2004 Term, No. 3757, in the Pennsylvania Court of Common Pleas in Philadelphia County. Farmers’ Time to Pay Up. And…a $4.9 million settlement has been reached in an unpaid wages and overtime class action pending against Farmers Insurance Exchange. The lawsuit was filed by Farmers’ adjusters in February 2014, who claimed that their work volume, deadlines and competitive rankings meant they frequently worked overtime without meal and rest breaks. It also claimed that up to 2015, Farmers had no stated break policy. Farmers’ practices violated state and federal overtime statutes, as well as California meal and rest breaks and unfair competition laws. Under the terms of the Farmers settlement, the funds will be divided among the 2,114 plaintiffs, less 25 percent to cover legal fees. The class is made up of claims representatives specializing in liability, automotive damage and residential property who worked in California between September 2011 and August 2016. On average, I is estimated that each plaintiff will receive $2,000, and members who worked throughout the class period could see more than $7,000. The case is Alvarez et al v. Farmers Insurance Exchange et al., case number 3:14-cv-00574, in U.S. District Court for the Northern District of California. Ka Ching! That’s a wrap folks—see you at the Bar. Mylan Pharmaceuticals may need it’s own EpiPen if this gets to court. The maker of the EpiPen device, is facing a price gouging class action lawsuit. Filed by a resident of Ohio, the lawsuit asserts that the sharp increase in price the company has put in place violates Ohio state consumer protection laws. 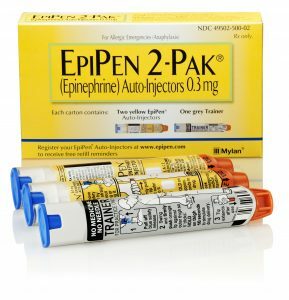 Mylan has reportedly raised the US price of the device, which is used to for emergency treatment of life-threatening allergic reactions, from less than $100, when it acquired the device in 2007, to over $600. EpiPen works by injecting a dose of the drug epinephrine into the thigh to counter dangerous allergic reactions to things like bee stings, shellfish and peanuts. It has a 94 percent share of the market for such auto-injector devices. Some Granola To Crunch On… Here’s another one—General Mills got hit with a consumer fraud class action lawsuit this week over allegations its Nature Valley products contain a chemical that could be carcinogenic. Hey—maybe it adds flavor. Or not. But somehow the descriptive “carcinogenic” doesn’t sound like its quintessentially from an idyllic fantasyland called “Nature Valley”. Filed by Yesenia Nuez, a resident of New York, the Nature Valley lawsuit asserts that General Mills promoted its Nature Valley bars as “Made with 100% Natural Whole-Grain Oats.” According to Nuez, these claims are false, because the bars contain oats that are not 100 per cent naturally made. Rather, they contain the chemical glysophate. Glysophate is a potent biocide, a probable carcinogen and a human endocrine disrupter, according to the suit. Nuez claims that as a result, the Nature Valley bars could be causing harm to consumers. Amgen Securities Settlement. A $95 million settlement has been reached in a securities class action lawsuit pending against pharmaceutical company Amgen Inc.
Brought by investors, the lawsuit claims that Amgen failed to disclose the results of a study known as DAHANCA 10, which tested Aranesp in head and neck cancer patients in Denmark. When Amgen’s failure to disclose was discovered and reported, the company’s stock crashed. The period in which class members were affected is between April 22, 2004 and May 10, 2007. Under the agreement, Amgen will pay $95 million into a settlement fund to be distributed to class members. The settlement is subject to court approval. The lawsuit is In re Amgen Inc. Securities Litigation, CV-07-2536 PSG, pending in the United States District Court for the Central District of California. Ka-Ching! That’s a wrap folks—see you at the Bar. Do you have Touch Disease? Or, more to the point—does your iPhone 6 or 6 plus? Here are the symptoms loss of functionality by reduced responsiveness or no responsiveness at all, when interacting with the touch screen. The defect is typically preceded by a flickering grey bar across the top of the display. According to the lawsuit, the loss of functionality results from a defective logic board. Yes—touch disease is an alleged defect in the iPhone 6 generation. It’s referred to as “touch disease”, because the alleged defect, the lawsuit asserts, manifests as reduced touch screen functionality. 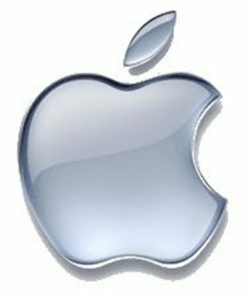 An iPhone 6 defective products class action lawsuit was filed against Apple this week. One to watch. Heads up Tropical Smoothie Fans…a food poisoning class action lawsuit was filed this week against Virginia-based Tropical Smoothie cafes. The strawberry smoothies have been linked to an outbreak of Hepatitis A. The infected strawberries reportedly come from Egypt. According to Virginia State health officials, at least 28 cases of Hepatitis A have so far been linked to the tainted strawberries. Last week, 35 cases of Hepatitis A had been recorded, with a majority connected to stores in Northern Virginia, according to state health officials. Tropical Smoothie has locations in Hampton, James City and York counties and roughly 300 stores nationwide. The Tropical Smoothie lawsuit is filed against by a plaintiff claiming damages and recovery of costs associated with vaccination shots she got to guard against hepatitis A. According to court documents, the plaintiff had smoothies at a Yorktown store in the last month or so. After finding out she’d possibly been exposed to hepatitis A, she followed health official recommendations and had a series of vaccination shots. According to Virginia State health officials, customers of Tropical Smoothie outlets could have been infected even if they didn’t order smoothies with strawberries, because the cafes use the same blender to make smoothies. FYI—Hepatitis A is a disease often transmitted by contaminated food or drinks that can cause liver infections with fever, jaundice and malaise. Avon Ladies to get Compensated…Avon has reached a proposed $1.8 million settlement in an unpaid overtime class action brought by Avon’s district managers, who alleged the company misclassified them as exempt employees and therefore did not pay them time and half wages they were due. According to the terms of the proposed Avon overtime settlement, anyone who worked as a district manager at one of Avon’s California locations between April 2009 and March 31, 2016 will be able to claim compensation for their unpaid wages. The settlement must receive final approval. So folks, on that happy note, this week’s a wrap. Happy Labor Day long weekend—we’ll see you at the bar! !